Provide comfort for the family of Charles Lesser, Sr. with a meaningful gesture of sympathy. Charles R. Lesser, Sr., 88, of Jamesville, passed peacefully into glory at his Florida home with his family by his side. Born in Jamesville on July 17, 1930, he was the son of Charles and Sarah Lesser. He served in the Army during the Korean War and extensively served and supported the Pompey United Church, including as Chairman of the Board. Most recently he attended Jamesville Community Church. Charles was also an avid card player, and he was known to bid on next to nothing. Charles was predeceased by sisters, Claire Amo, Mary Totman; and son-in-law, Stephen Katz. Surviving are his wife of 65 years, Margaret (Rosenberg) Lesser; daughters, Lorraine Lautenbacher of Sandy Creek, Sally (Daniel) Gamett of Pulaski, VA, Rose Marie Katz of Niagara Falls; son, Charles Jr. (Darlene) Lesser of East Syracuse; sister, June Amo of Jamesville; and grandchildren, John and Michael Lautenbacher, Amy Edwards, Adam Gamett, Eric, Kyle and Ryan Katz, Keith and Michelle Lesser. Calling hours will be 4-7 pm on Friday, March 1 at Newell-Fay Manlius Chapel, 8171 Cazenovia Rd, Manlius. A funeral service will be held at 10 am on Saturday, March 2 at Jamesville Community Church, 6300 E. Seneca Tpke, Jamesville. Burial will follow in LaFayette Rural Cemetery. Contributions may be made to Suncoast Hospice, 5771 Roosevelt Blvd, Clearwater, FL 33760. 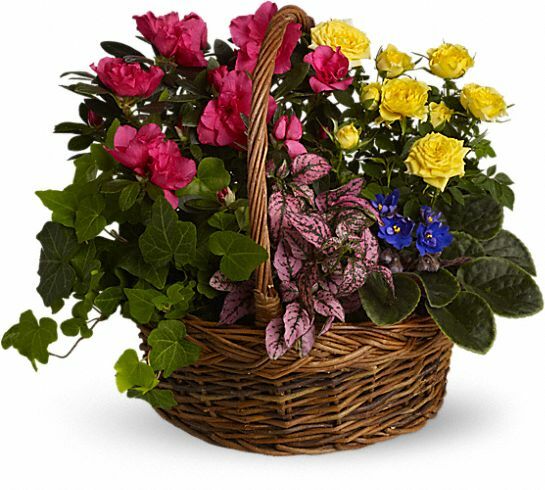 Sawkins, Gates, Warner and Freedman family purchased the Blooming Garden Basket for the family of Charles Lesser, Sr..
May the family of Charles Robert Lesser please accept my sincere condolences hoping you find comfort in God's words at Acts 24:15 and Psalm 37:29.